According to a recent study by Israeli and French researchers, it was possible for the first time to identify neurons in the human visual cortex that can selectively respond to faces. "There has been a lot of research on humans," said Vadim Axelrod, head of the Consciousness and Cognition Laboratory in the multidisciplinary brain research center Gonda (goldsmith) of Bar Ilan University. "But this is the first time we have recorded human neurons that respond to faces in the visual cortex," he said in a telephone interview with the Times of Israel. The research "is an important step towards a better understanding of how a face is processed in the human brain" at the cellular level, Axelrod said. 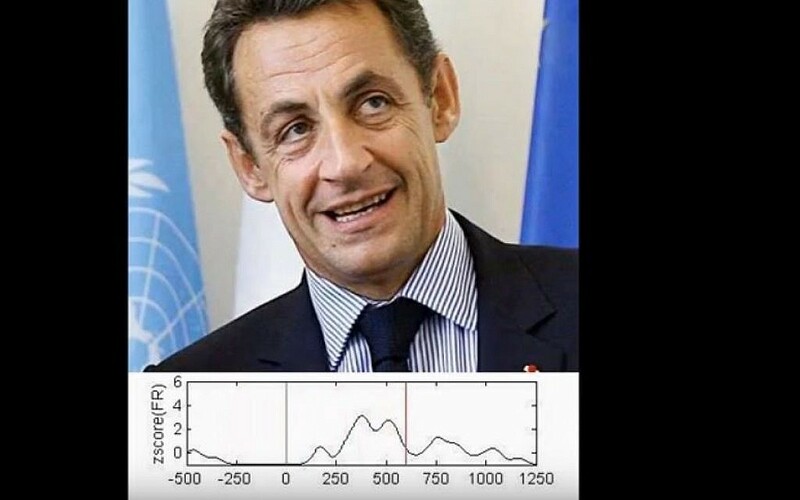 The statement "may help to understand how people recognize faces." Axelrod worked in collaboration with a team from the Institute Cerveau et de la Moelle Épinière and the Pitié Salpêtrière Hospital in Paris under the direction of Prof. Lionel Naccache. The study was published in the January 22 issue of Neurology, the medical journal of the American Academy of Neurology. 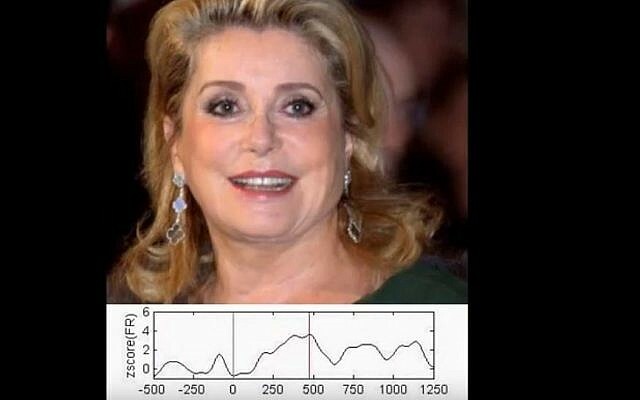 A high level of neural response was reported for faces of famous people like Charles Aznavour, Nicolas Sarkozy, Catherine Deneuve and Louis De Funes as well as for faces unfamiliar to the experimenter. In another experiment, the neurons showed that they can distinguish between human and animal faces that appeared in a movie – a clip from Charlie Chaplin's "The Circus." "In the early 1970's, Prof. Charles Gross and his colleagues discovered the neurons in the visual cortex of Macaques that responded to faces, "said Axelrod in the statement. "In humans, facial selectivity activity has been extensively studied, using mainly noninvasive tools such as functional magnetic resonance imaging (fMRI) and electrophysiology (EEG)." "Striking," he added, "facial neurons in the posterior temporal visual cortex" has never been identified in humans. In our study, we had a rare opportunity to record the neuronal activity of a single patient while microelectrodes were implanted near the Fusiform Face Area. The researchers stumbled upon the neurons as they examined a patient suffering from epilepsy, Axelrod said. "We brought the electrodes close to this area," he said. "We were lucky." So far, the only neurons that have responded to faces are the so-called "Jennifer Aniston cells" – neurons located in the medial temporal lobes of the brain that respond to different responses In this case, Jennifer Aniston, in an original study published by Rodrigo Quiroga and his colleagues in 2005 in Nature. Researchers from the Quiroga team found these cells are only launched in response to images of certain individuals – such as Jennifer Aniston, Bill Clinton or The Beatles. The neurons are to respond to the person concept, even a drawing, a picture or a masked image, the researchers said. The neurons in the visual cortex identified by the Israeli and French researchers are very different "From the neurons found by the Quiroga team, Axelrod said," they are sensitive to any type of face, regardless of identity to react violently to the person. In addition, these newly discovered neurons respond much earlier, he said. 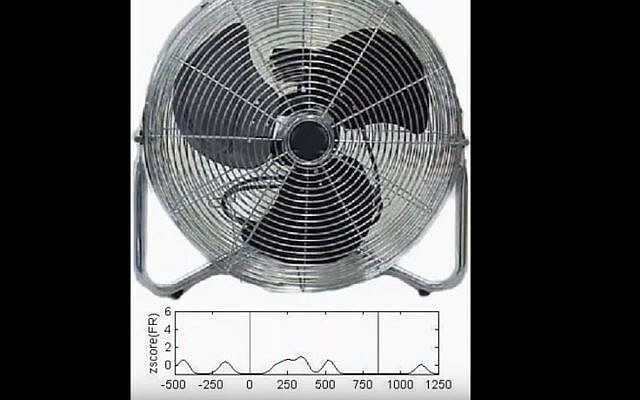 "In our case, a strong reaction could be observed within 150 milliseconds of displaying the image," he said. 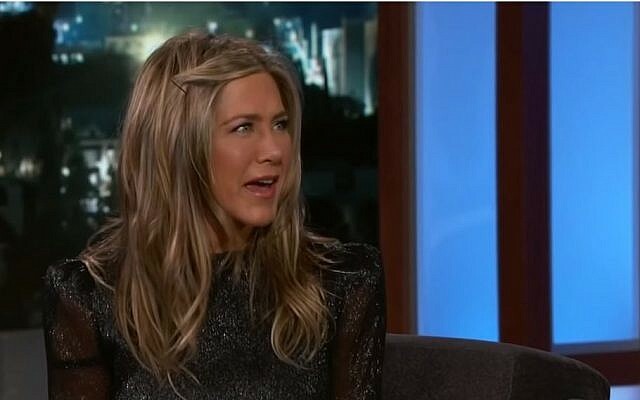 "The Jennifer Aniston cells usually take 300 milliseconds or more to respond. " These findings can also help to bridge the understanding of facial mechanisms between species, such as monkeys and humans." It's really exciting, "said Axelrod," that After nearly half a century, since the discovery of macaque face neurons, similar nerve cells have been detected in humans. "